An April 2018 article published in a respected medical journal (BMJ Open) reviewed controlled experiments of adults who needed to eat a low-glycemic index diet. In the study, adults who ate pasta did not experience an adverse impact on their body weight compared to people who ate a higher-glycemic index diet. In fact, over 12 weeks, the participants lost slightly more than a pound on average. Despite this seeming endorsement for pasta, I suggest that before you feel comfortable about eating lots of pasta, consider the following. In that study, pasta was not the only food consumed by the participants. It was eaten along with other foods that required longer time to digest, as is the case with any low-glycemic index foods such as vegetarian and Mediterranean meals. Any meal containing items that slow down digestion will also slow down the absorption of glucose from faster digestible components such as pasta. This is because individual items in a combined meal have to wait their turn in getting access to the necessary digestive enzymes and sites of nutrient absorption in the intestine. Here is an analogy. Imagine that you are driving an automobile that can go 120 miles per hour on a highway. But each time you go out on the highway, there is so much traffic that you must drive at only 55 miles per hour. 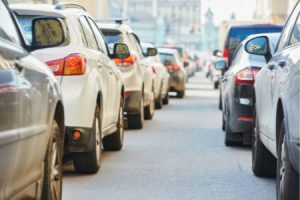 Can the auto manufacturer claim that your car is speedier? This is what it is like if you eat a high-glycemic index food with other foods; its digestion is slowed down. I am still not suggesting that you are free to eat a lot of pasta if you consume it with other foods. The reason is, most people eat pasta the wrong way. First, pasta-based meals are usually heavily front-loaded with pasta, with few other low-glycemic ingredients. Secondly, most people tend to gobble down pastas such as spaghetti, penne, shells, and so on, with very little chewing. Any food that requires little or no chewing tends to be swallowed immediately rather than be kept inside the mouth. 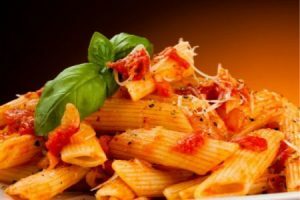 Digestion is thus very fast because most pasta is made of durum wheat flour—composed of long, easily digestible complex carbohydrate molecules. Glucose released upon digestion of these molecules is quickly absorbed, with the result that blood glucose level is elevated within the first hour after a meal. Your higher blood sugar causes the pancreas to release insulin to help force the glucose into cells. Within the next hours, your blood will tend to fall rapidly, even below fasting level. This, in turn, can cause brain and other cells that depend on glucose for survival to generate the hunger signal. This is why you often feel hungry within hours after eating pasta. Your body is literally starving for more glucose to be replenished—and you end up with the desire to eat another food item made with grain-flour to get a new sugar kick. The above study was also done with middle-aged adult participants and involved only 12 weeks of average duration. It is therefore difficult to consider it applicable to people of all ages, body weights, and adiposity (fat tissue) patterns. In the absence of a long-term trial (e.g., greater than a 1-year diet duration), it is difficult to conclude with certainty that there is truly a sustainable weight loss benefit of consuming pasta. The authors claim that the positive results on weight loss obtained in the pasta study were in comparison to people who were eating a higher-glycemic index diet, even with increased total carbohydrate intake. However, they did not clarify the nature of carbohydrate intake. We do not know what type of pasta was being consumed or what grain-flour it was made from. We also do not know what other carbohydrates participants were consuming. For example, if participants ate “resistant carbohydrate” (such as beans, lentils, and other vegetables) that does not digest fully in the small intestine, the experiment’s results would be skewed. So it is a broad generalization and, in my opinion, misleading to say that this experiment proves it is ok to eat pasta. I believe we need to ask what is the benefit of grains in general and pasta in particular in human diet? Grains were never a major part of human diet until about 10,000 years ago, 40,000 years after upright humans started walking on the earth. And even for thousands of years, humans did not eat grains at the consumption level we do today. 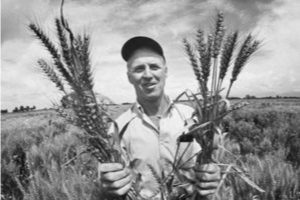 It was only about 60 years ago, thanks to the Green Revolution in farming whereby new strains of wheat and rice were created, that humans had access to so much grain-flour based food. Since then, grain-flour foods have contributed to an ever-increasing percentage of our diets—think breads, pastas, pizza, muffins, rolls, crackers, snack foods, cakes, pies, and so on. Currently, the amount of food energy consumed daily from grain-based foods is, on average, 50 percent in developed countries and 70 percent in developing countries (since they tend to eat less protein). Is it any wonder that in these last 60 years we have seen the incidence of medical conditions such as obesity, type 2 diabetes and cancer getting worse? In my view, the culprit is clearly this overwhelming quantity of grain-based foods that most people consume on a daily basis. You may be thinking, as you are reading this blog, I enjoy pasta too much to give it up. If so, try this experiment. Eat pasta boiled to perfection but served without any sauce, butter, or salt. Chances are that you won’t enjoy eating the pasta by itself. This is because the true enjoyment of eating pasta comes mostly from what you put on it, with pasta being just a convenient vehicle to taste the toppings. The next time you are tempted to eat pasta, recall that it packs a wallop of glucose molecules that you are not likely able to use and thus must be stored as fat in your body. The more pasta you eat, the more you will likely gain weight and possibly develop high blood sugar and diabetes. Instead, I suggest that you enjoy the pasta sauce, but not on pasta. Try the same recipes but you use steamed vegetables. For instance, use spaghetti squash, julienned zucchini and carrots, or cauliflower. Pasta sauces can even be enjoyed on fresh cut raw vegetables. Of course, you can just put the sauce on meatballs, chicken or other protein-containing foods, too. And today, there are pastas from lentil flour and vegetable flour (though some of these still contain wheat or rice, so be careful). Ideally, I recommend that you avoid grains as much as possible. Seek to limit your total food energy consumed from grains to less than 30 percent of your total daily food energy intake. I realize that for most people, it is difficult to keep track of these numbers, but that is why I suggest you simply avoid consuming grain-based foods. If you must indulge, I suggest you limit your intake of grain-based foods to breakfast and desserts and not eat any grains or items made with grain-flour during main meals. Or as has been done in Asian countries where people commonly eat white rice, a high-glycemic index food, be sure to eat only a small amount of rice or pasta as an accompaniment to vegetables and other low-glycemic index foods to slow down their digestion. 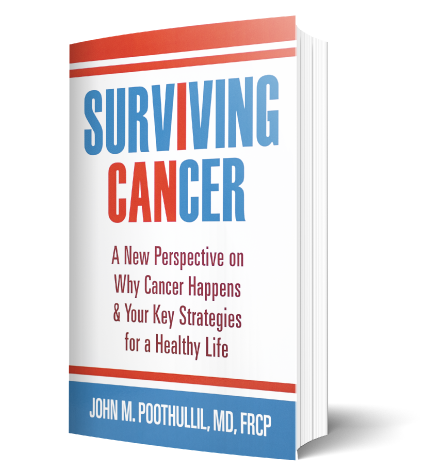 To learn more, purchase a copy of one of my books on preventing diabetes, reversing diabetes and surviving cancer. 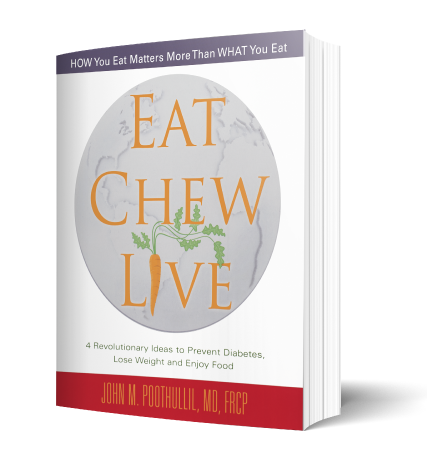 If you are overweight or concerned about developing diabetes, Eat Chew Live provides exactly the new science & inspiration you need. Based on more than twenty years of research, Eat Chew Live offers a revolutionary new explanation of high blood sugar and Type 2 diabetes. While traditional medicine says it is due to “insulin resistance,” Dr. Poothullil disagrees. There are no special diets to follow or products to buy. Read the book. Learn how you can lose weight once and for all, eat for health, and prevent diabetes. 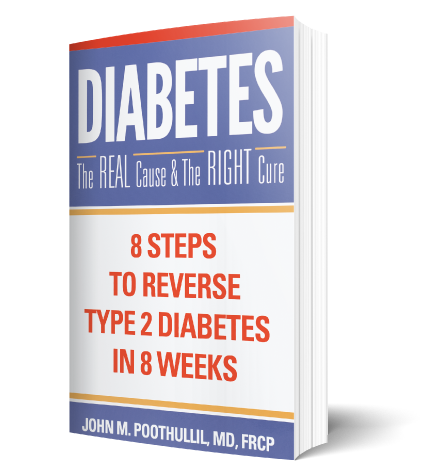 If you have been diagnosed with Type 2 Diabetes, this informative yet easy to use book that will help you or a loved one reverse it in 8 weeks. My plan will also help you to remain diabetes free as you will take this on as a lifestyle. Make better choices and take ownership of your health today.